Emergency deliveries of cut and split firewood. Emergency purchases of home heating fuel with confidential payments made directly to the fuel supplier. Emergency transportation for necessary care medical appointments, prescription pickup and shopping for food and essential household needs. Emergency grants of funds for purchase of necessary food, clothing, essential housing costs, essential transportation, necessary physician care and prescription needs. Also for catastrophic short-term illness, reasonable funeral, travel and related expenses for the immediate family; victims of crimes and accidents. 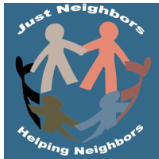 While Just Neighbors makes every effort to provide necessary assistance, the realities of available resources (funds, wood, vehicles, time and volunteers) may make it impossible to do so under all circumstances. Click the button below to enter your information into a form requesting assistance which will be sent to Just Neighbors for consideration.